A Pertex Quantum Ultra Light fabric covers the front and back to create a windproof and water-repellent barrier to shield you from rain, sleet, and snow, while the Air Stretch dobby fabric at the sides, arms, and hood offers resistance to abrasion. Quick-drying and moisture-wicking properties and a touch mechanical stretch brings comfort along on those tougher trails. 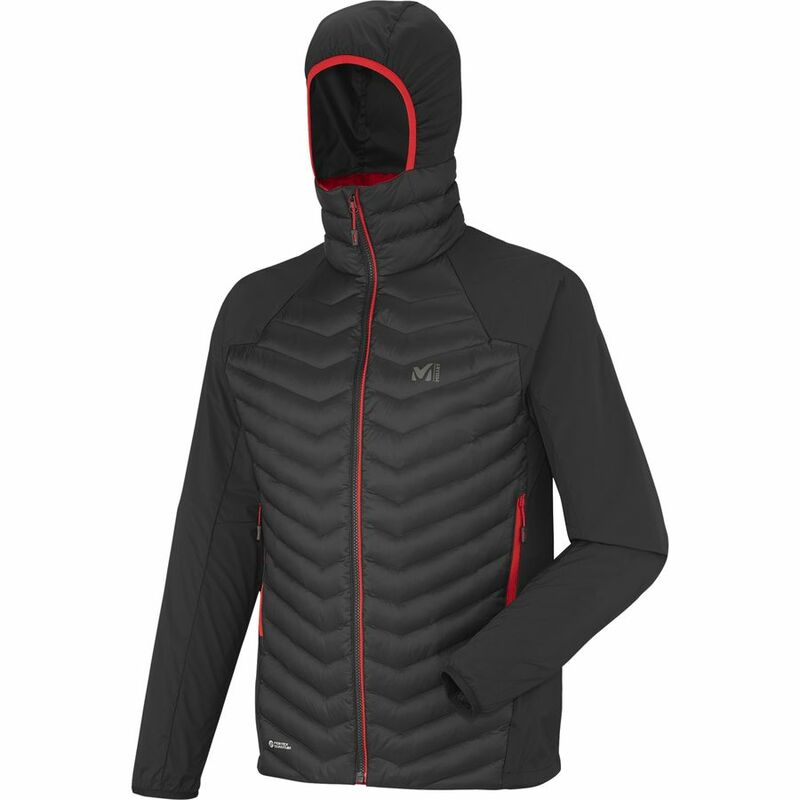 Packed with Down Blend Dry Microloft, this jacket keeps you cozily toasty when the temps drop, while still allowing for high levels of breathability and quick-drying performance against wetness. Raglan sleeves further boost your range of motion, and two zippered pockets at the front safely stash your phone and wallet for easy access.